Print Release Stations with PaperCut NG or PaperCut MF offer an alternative to keep your legacy or aged printers in use. Acting as a dedicated PC terminal, release stations allow users to authenticate and release documents while at the device, offering security of documents and the device along with saving on uncollected prints. An affordable option to a typical PC terminal acting as a release station is the Raspberry Pi, a low-cost computer alternative. 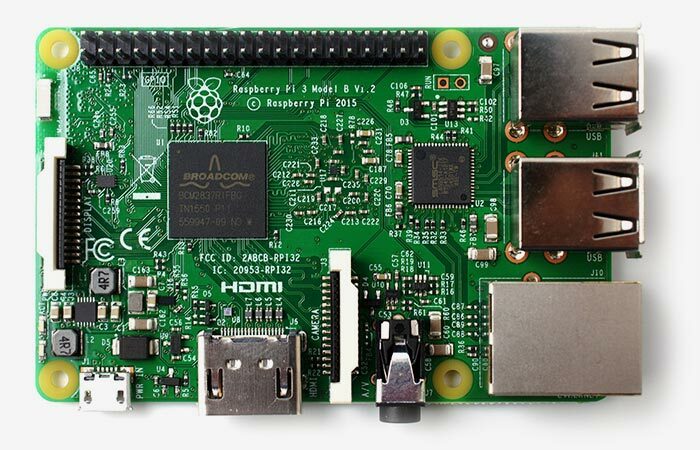 Why use Raspberry Pi as a release station? Save your budget with a low-cost computer alternative to a typical release station. More power efficient to reduce your power consumption and environmental footprint even further. Ideal for education and learning (this might make a great project for your ICT class), tech enthusiasts at schools and environmentally conscious users, Raspberry Pi along with PaperCut NG offers a lower cost, and energy efficient print release solution. Our how to video shows you in a few easy steps, including downloading an image with everything you need to setup a release station. See our Knowledge Base for more information. 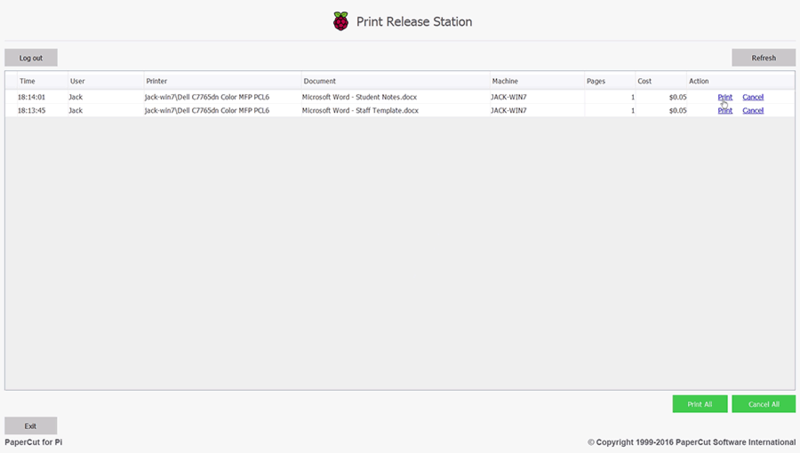 You can download the Raspberry Pi Print Release Station images using the links below and follow the instructions in our Knowledge Base article to get the Print Release Station set up.